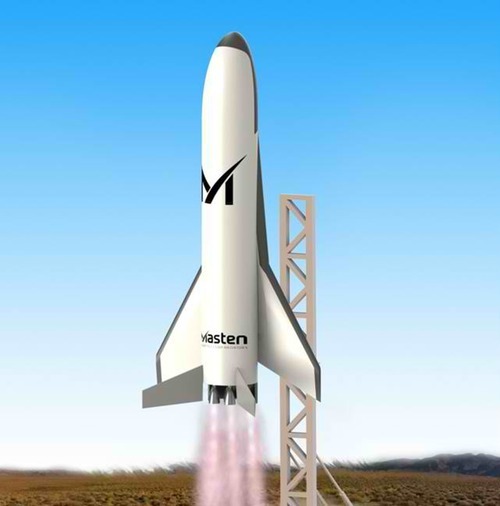 Masten Space Systems, one of three companies to receive awards from DARPA for the Experimental Spaceplane 1 (XS-1) program, has revealed the design it proposes to develop for the program. And that design has something unusual for a company best known for its vertical-takeoff-and-landing designs: wings. Masten is one of three companies awarded Phase 1 contracts by DARPA for the XS-1 program. The other two are Boeing and Northrop Grumman. I am in total support of winged spacecraft that return from space and land on a runway. All we need now is a working magnetic shield to keep the hot ionized gases from coming into direct contact with the craft’s skin and we will have the total package. Congrats to Masten Space Systems on the award. It’s long been time for reusable first stages to have been in use.